Rob Goudswaard has more than 35 years’ experience in the banking sector. He is currently the Chief Executive Officer of Australia’s largest credit union, CUA, a position he has held since February 2015. CUA offers responsible financial, health and insurance solutions to more than 440,000 members nationally. As a mutual, CUA was created by members for members, and traces its heritage back 70 years to Australia’s first credit union. 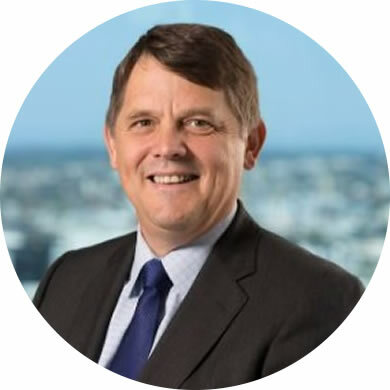 Rob commenced his career with ANZ Bank where he spent 30 years in senior positions in Australia and internationally including Chief Risk Officer for Institutional Global, Managing Director of Regional, Rural and Small Business Banking, General Manager for Pacific and Personal Banking Asia and Chief Operating Officer for Small to Medium Business in Australia & New Zealand. During his tenure he also served as Chairman of the ANZ Staff Foundation and the ANZ Reconciliation Action Program. In 2010, he joined another Australian financial institution, the Rural Finance Corporation of Victoria, as both CEO and Director. Within that capacity, Rob was also appointed as Chairman of the Young Farmer’s Finance Council. He remained at Rural Finance until 2014. Rob is an active member of the community and is a former Director on the Board of World Vision Australia (2008-2017). He is a Fellow of the Financial Services Institute of Australia and Fellow of the Australian Institute of Company Directors. Rob was born in Melbourne, Australia and is married with three children and three granddaughters. His interests include farming – he runs a cattle, sheep and timber plantation farm of 1,200 acres near Alexandra in regional Victoria. He also enjoys bike riding, cricket and is a keen supporter of the Geelong AFL team.